In engineering, steam, most often refers to vaporized water. It is a chemically pure, invisible gas (not a mist) which at standard atmospheric pressure (1 atmosphere) has a temperature greater than 100 degrees Celsius, and occupies about 1,600 times or more the volume of the same mass of liquid water. Steam can of course be much hotter than the boiling point of water where gas first starts to form. Such steam is referred to as high temperature or superheated steam. Steam is a capacious reservoir for energy because of water's high heat of vaporization. 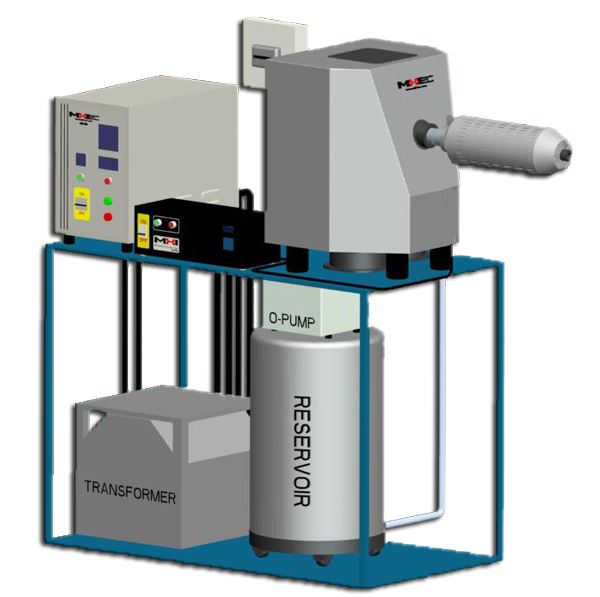 The ability to return condensed steam as water-liquid to the boiler at high pressure with relatively little expenditure of pumping power is also important. In the US, more than 90% of electric power is produced using steam as a working fluid, mainly by steam turbines. Condensation of steam to water often occurs at the low-pressure end of a steam turbine, since this maximizes the energy efficiency, but such wet-steam conditions have to be carefully controlled to avoid excessive blade erosion. One atmosphere high temperature high quality steam is a unique agent. MHI specializes in such steam generators. The steam wicking-properties and oxygen control are attractive for high temperature steam. High temperature steam leads to high-productivity applications. There is no-moisture from start-up. The HGA's and OAB's produce high quality pure steam. The HGA-M is for applications requiring steam-gas(air) mixtures. The Mightysteam® is useful for steam cleaning. What is superheated steam? Steam can be saturated or superheated. Whenat the boiling temperature (which depends on the pressure) steam is called saturated. When above this temperature it is called superheated. At sea level and one atmosphere pressure (101KPa) steam boils at 100C (212F) which is called the saturated steam temperature for this pressure. Above this temperature the steam will be superheated. Typical pictures of compact modern steam generators are shown below. Properties of superheated steam and types of steam kinetics is shown on the Steam Calculator page. The International Association for the Properties of Water and Steam (IAPWS), maintains international-standard correlations for the thermodynamic properties of steam, including IAPWS-IF97 (for use in industrial simulation and modeling) and IAPWS-95 (a general purpose and scientific correlation). A pound of water x 0.016 = cubic foot of water at 62.2 F.
may be required if grains/gallon of water-hardness exceed 3. Does high-pressure enable the outcome of a steam or chemical reaction for H2O? The short answer is seldom especially above 100°C. Long Answer. What is more important is having an open-continuous system like the OAB, HGA where molecules of H2O are able to enable more of the desired reaction because of continuous production. This is a steam generator. Today, high quality superheated steam is finding many applications in drying, cooking, proper and complete bacterial inactivation, fraking, chemical processes engineering, tablet making, mixing and materials processing. Very high temerature steam at one atmosphere packs the proper punch required for these applications while minimizing the dangers of using high presuure boilers. Given below are the standard steam diagrams for process design. This type of superheated steam is used in applications that have a crtical need to reduce the process time. Superheated steam often offers a higher heat transfer coefficient and high enthalpy content that enables many unique uses. When at a high temperature, especially above the inversion temperature, such steam is often considered as a non-toxic antimicrobial agent. Superheated steam at a high temperatures also offers superior reaction for example in energy reactions such as bio-fuels, reforming, hydrogen production, ammonia production, and denaturing, all with rapid heat transfer kinetics. There are several ways to describe the humidity of the air (a term used generally only below 100C, at 1 atmosphere conditions). At high temperatures it is more accurate to talk about Specific Humidity (also called the humidity ratio) which is the mass of water vapor present in a unit mass of dry air; that is, it is the ratio of mass of water vapor to the mass of dry air. Below the staturation temperature (e.g 1 bar, 99.6C) one often uses the term Relative Humidity when steam is mixed with air. Relative humidity is a ratio that compares the amount of water vapor in the air with the amount of water vapor that would be present in the air at saturation. Relative humidity is given as a percentage: the amount of water vapor is expressed as a percent of saturation. Example, at 25oC and 1 atmospheric pressure, the corresponding specific maximum humidity is about 3% although the the relative humidity is at 100%. Endotoxins, microbes and bacteria are known to be inactivated by heat and H2O. 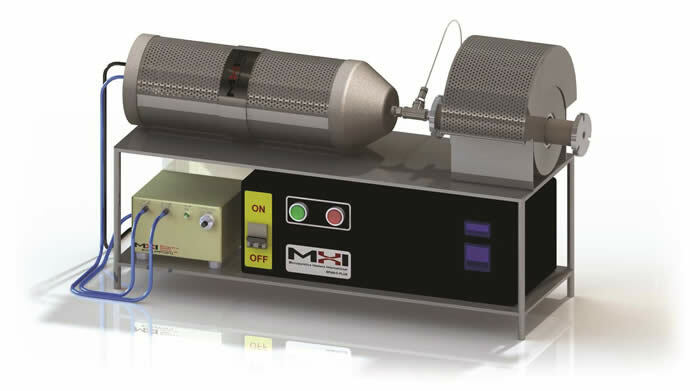 All MHI superheated steam productions produces high temperature steam that during production encounters temperatures in excess of 500C. The steam ouput temperature and condition of humidity are controllable as discussed below for several models. Vapor pressure measures the water vapor content of the air using the partial pressure of the water vapor in the air. (Pressure may be expressed using a variety of units: pascals, millibars, pounds per square inch (psi), among others). The gases in the atmosphere exert a certain amount of pressure (about 1013 millibars at sea level). Since water vapor is one of the gases in air, it contributes to the total air pressure. The contribution by water vapor is rather small, since water vapor only makes up a few percent of the total mass of a parcel of air. The vapor pressure of the water in the air at sea level, at a temperature of 20oC, is 24 mbar at saturation (about 3% by volume). Relative Humidity: we can compare how much water vapor is present in the air to how much water vapor would be in the air if the air were saturated. For this we use relative humidity. Relative humidity is a ratio that compares the amount of water vapor in the air with the amount of water vapor that would be present in the air at saturation. Relative humidity is given as a percentage: the amount of water vapor is expressed as a percent of saturation. If 10 grams of water vapor were present in each kilogram of dry air, and should the air would be saturated with 30 grams of water vapor per kilogram of dry air, the relative humidity would be 10/30=33.3%. For example, a parcel of air at sea level, at a temperature of 25oC, would be completely saturated if there were 20 grams of water vapor in every kilogram of dry air. The measure we are using is a mixing ratio: grams of water vapor per kilogram of fully staurated air. If this air actually contained 20 grams of water vapor per kilogram of dry air, we would say that the relative humidity is 100%. If the parcel of air (at sea level and 25oC) actually had 10 grams of water vapor per kilogram of dry air, what is its relative humidity? Answer: The relative humidity would be 50%. 10 grams water vapor/kg dry air compared to maximum possible 20 grams water vapor/kg dry air is 10/20=50%. If a parcel of air (at sea level at 25oC) had 18 grams of water vapor per kilogram of dry air, what is its relative humidity? Relative humidity would be 18/20=90%. In the examples above temperature was taken as about 25°C. Water vpor content/water vapor capcity is Relative Humidity (RH). Another more technical term is that it is the ratio of the actual vapor pressure to the saturation vapor pressure. You will note below that the HGA-M produces a lot of steam with very high specific humidity because above 100C at one atmosphere air and steam mix well as any other "ideal gasses could", Below 100C the RH is an important limitation on how much steam can mix with air. For one atmosphere conditions, Above 100C one should use the term specific humidity which is the mass of water vapor (i.e. steam) ratio when mixed with a unit mass of dry air. Sometimes you need a steam gas mixture instead of pure steam. This can be enabled by the HGA-M or HGA-S-01-CGP1100. Refer to the HGA-M manual to see how your HGA-M is configured/rated. The mass fraction of steam in the final flow is about 18% for a valve setting which gives, for example, 200ml/15.5 minutes (i.e. specific humidity is about 21%). We are assuming that the water vapor is ideal and that the enthalpy of the water vapor in air can be taken to be the enthalpy of saturated vapor at the same temperature (~ 2501.3+ 1.82 T (kJ/kg)). Temperature, T, is in units of degrees centigrade. Of course after a certain temperature and pressure ~374C and 22.06 MPa called the critical temperature Tc and critical pressure Pc respectively, no amount of pressure can cause condensation. The superheated steam generator can produce a steam-air temperature in excess of this temperature but the output is not at critical conditions because the pressure is lower! 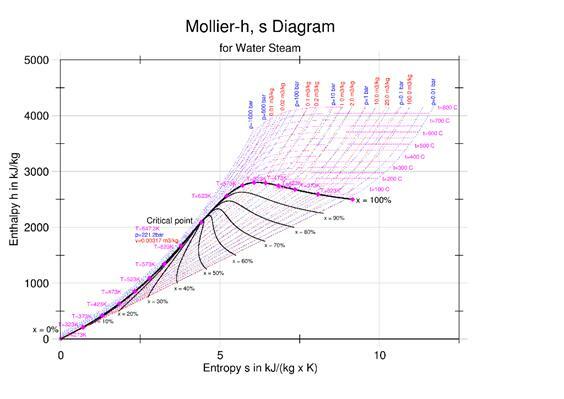 h (enthalpy per kg) of steam is obtained from the figures above at 1 atmosphere pressure or from steam tables or the Mollier diagram given above. 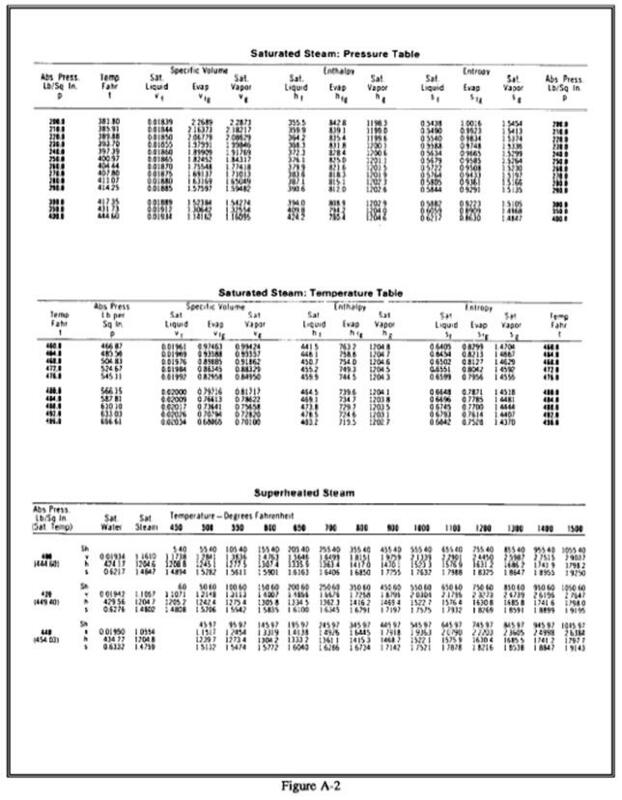 The HGA and OAB operates at close to 100% power efficiency from which the temperature of steam can be calculated. Or you can measure the temperature from the exit thermocouple. Instructions on how to use and protect the HGA-M are enclosed with the product. It’s a unique simply designed device with ease of use in mind. Turn on the air and monitor with a flow meter so that the SCFM does not fall below 1.4. Higher air flows give lower temperatures or you may control power with a separately obtained controller. Then turn on the heater and finally open the water metering valve. Steam-air will be the product. Remember to read the manual for the shut down procedure. A HGA stand and exit thermocouple is available as an option. Q: When do you dry with steam instead of drying with hot air: Answer there are many benefits to using steam but the main one is the availability of a gas with a lot of stored enthalpy at a lower temperature than corresponding dry air with the same enthalpy. So if you were interested in drying paper which has an ignition temperature of say 450F, then the use of superheated steam at a much lower temperature may produce the same drying efficiency as hot air at a high temperature which could be in excess of the paper ignition temperature. Follow all safety procedures. NOTE STEAM IS A ODORLESS GAS AT VERY HIGH TEMPERATURES. STEAM LIKE OTHER HOT GASSES WILL BURN YOU. STEAM PACKS A LARGE AMOUNT OF ENTHALPY SO THE BURN COULD BE SEVERE. DO NOT ALLOW THE STEAM TO FALL ON SKIN. WEAR GOGGLES AND GLOVES And Protection for your clothes, ALWAYS. If you are looking for superheated high temperature high quality steam you should now search the HGA or OAB models that address you specific need. The information below referes to the HGA-M models only where a air or gas-steam mixture is required. When using air or gas mixtures with steam you may encounter humidity as a design term or property. 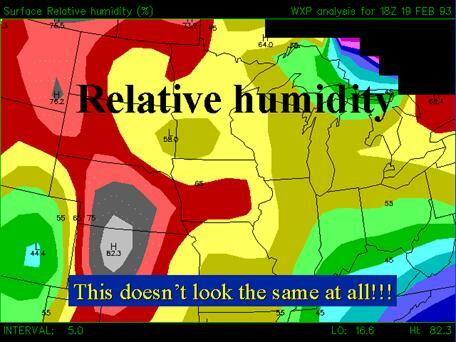 IT IS EASY TO BE CONFUSED BETWEEN RELATIVE AND SPECIFIC HUMIDITY. 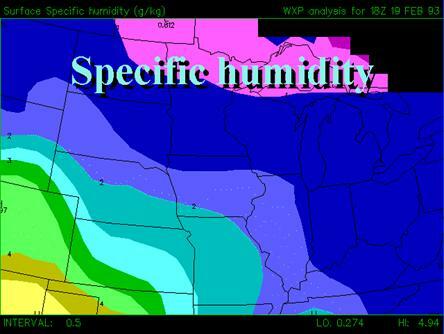 RELATIVE HUMIDITY DEPENDS ON TEMPERATURE. SPECIFIC HUMIDITY IS RELATED TO THE MASS FRACTION ONLY. Potential uses: For layering, epoxy drying and other film uses where superheated steam is required at one atmospheric pressure. Ideal for steam drying or steam oxidation. Attempt use also for precipitating crystals of several small sizes including nano crystals from solutions. Precipitation droplet sizes may be controlled by controlling rate of cooling, impingement conditions and type of surface. Steam temperature depends on water valve setting and air inflow setting. Air 1.45 CFM (inlet at ~30C) and water 330ml in 45 mins (inlet ~30C) yields steam-air temperature of about 350°C. Air 1.4CFM (inlet at ~30C) and water 200ml in 20 mins (inlet ~30C) yields steam-air temperature of about 250°C. Air 1.8CFM (inlet at ~30C) and water 200ml in 20 mins (inlet ~30C) yields steam-air temperature of about 150°C. The graph below gives a fair idea of how to adjust the HGA750-1 for different levels of specific humidity. Note as the specific humidity increase there is a corresponding decrease in overall temperature as total energy is conserved. For the graph below the steam gas thermocouple is right as the exit. The red line graph required that a power controller was in use. If you try and reduce the steam gas temperature too much you may not be able to get superheated steam and instead a heated mist may be the output product. Your results may vary. The values above should be considered as approximate Because of the placement of the thermocouple, restrictions on flows and other random errors normally present in multivariate measurements. For specific applications, the user will have to optimize all valve settings for the best result. Output: constant steam-air (superheated steam). SUPE RH EATED STEAM IS AN ODORLESS GAS (not to be confused with mist). Safety precautions must be taken when dealing with hot gasses. DO NOT USE WITH COMBUSTIBLE LIQUIDS. DANGER OF SUPE RH EATED STEAM SHOULD BE WELL UNDERSTOOD. PLEASE USE GLOVES, GLASSES AND HARD HAT. PROTECTIVE CLOTHING REQUIRED. STEAM CAN PENETRATE CLOTHES. Product has uses in surface technologies, cleaning technologies, drying technologies, curing technologies, and nano technologies. Patents issued applied and pending for the HGA. Control thermocouple for the hot air generator part is included. Steam output temperature thermocouple and bracket is sold separately or user may provide their own on their part. Electrical 110-120V 50/60Hz supply required for this unit. 1KW system requires compressed air input.